Favor Your Cravings. The most important advice is to eat what you naturally desire. Follow a well-balanced diet, with meals including adequate amounts of protein, healthy starch and veggies. Balance Vata. The major theme during pregnancy is to balance vata, the energy of the nervous system. This is best done with a diet of fresh, plant-based, whole or sprouted grains and non-processed foods. Warm, freshly cooked foods with healthy oils of olive, ghee and coconut are good. Avoid eating leftovers as much as possible. Enjoy These Three Tastes. The three tastes that balance vata are sweet, sour and salty. 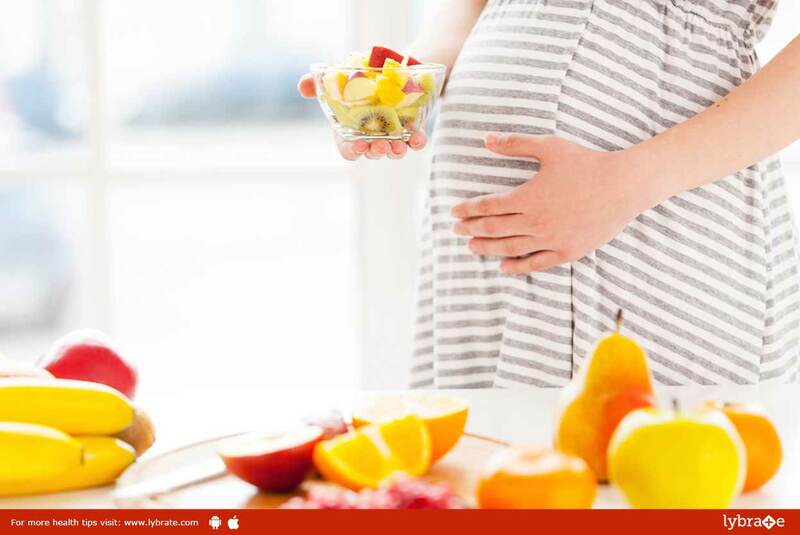 During pregnancy, the sweet taste should be most emphasized, because it is the most sattvic or wholesome for the baby. This includes sprouted breads or those cooked without oils, whole grains, rice, fruits and healthy starches like sweet potatoes, quinoa, cooked beets and carrots. The Right Milk. Drink warm, vat-pasteurized (heated under 135 degrees F), non-homogenized milk with ghee made from grass-fed cows. One cup of warm milk with a teaspoon of ghee twice a day is said to boost immunity and the complexion, or “ojas,” of the baby. Daily Massage with an Ayurvedic Herbalized Massage Oil. These oils feed the microbiology on the skin, as well as calm the skin-based sensory nervous system of the mom. The calmer the mom, the calmer the baby. Roast cardamom seeds, powder them and eat a small pinch through the day. Snack on dry crackers or toast. It helps to always keep a little food in the stomach. Temporarily eat from the Spring Grocery List or Kapha-Reducing Diet. Sip tea made of 1/4 tsp. ginger powder and/or fennel seeds and hot water. Try sleeping in a semi-reclined position by putting a pillow between the box spring and the mattress. Get Gentle Daily Exercise. A great way to get this is to walk for 30 minutes each day. Take Rest. In the 8th month, you should get as much rest as possible. This is a delicate time when the subtle nutrient fluid called “ojas” that supports vitality, complexion and immunity is passed between the mother and baby. Be Happy. The MOST important pregnancy principle is to remember to be happy. The partner’s job during this time is to keep the mama-to-be happy. Of course, the mom must practice daily acts of happiness as well.